Logging a few miles on the treadmill before hitting the squat rack doesn't sound too pleasant. But does cranking out a few sets of squats before hopping on the treadmill seem much better? 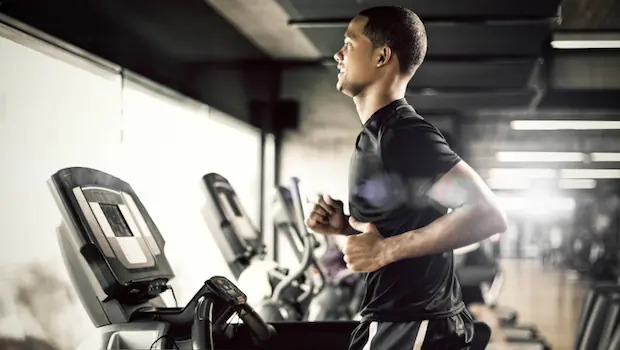 Doing cardio and strength training in the same workout session is not ideal, but thanks to busy schedules and time constraints, it's a necessary evil for some. There are countless articles, blog posts and research projects dedicated to which should be done first, and it seems there's never a decisive conclusion as to which should be the primary focus. Ultimately, it comes down to what the person's end goal is and how much time they have to dedicate to their fitness. Whether you're veteran lifter, athlete or a newbie, everyone needs to figure out what their end goal is. How much time can you dedicate per week for strength training and cardio? If you only have 2 to 3 hours per week, then you should consider doing weight training and cardio in the same day. Are your goals realistic, especially if you're a beginner? Are you focused on losing weight, reducing body fat percentage, or improving your one-rep max? If you've planned an intense workout that will demand energy, doing cardio first is not beneficial. If you'll be lifting heavy or working on endurance training with external resistance and body weight, you may want to wait for another day to get your cardio in. Another example would be if you're training for an obstacle course race or if you're an athlete and you're focusing on specific lifts. You need to be able to focus on these specific movements and recruit important muscle fibers, both slow twitch and fast twitch. If your body is fatigued, these things become harder to accomplish. Doing cardio first takes away necessary energy reserves and decreases performance needed for specific movements. When you can't perform your best, it not only affects your body, but also your mindset, which is just as important. Kisar S. Dhillon is a professional fitness trainer living in Portland, Oregon. He holds a Bachelor of Science Degree in Kinesiology, Post Baccalaureate Studies in Exercise Physiology and a Master's in Business Administration. He has more than 17 years experience in the health and fitness industry and is currently the owner of The Art of Personal Training. You can follow him on Google Plus, Twitter and on YouTube.